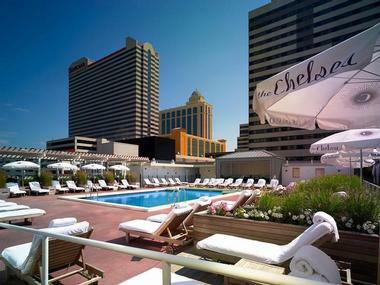 Editor's note: The Chelsea Hotel has been acquired by Tropicana Atlantic City. 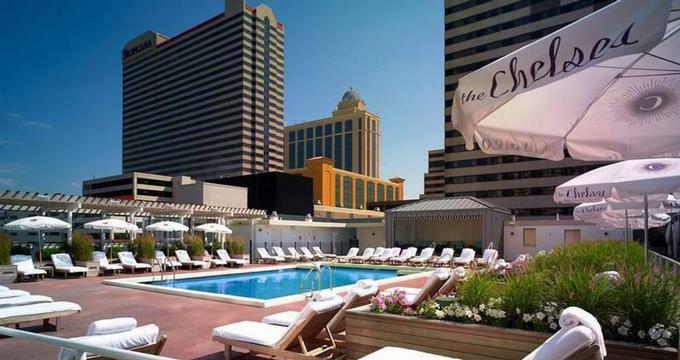 The Chelsea is a chic, contemporary boutique hotel in the heart of Atlantic City’s Chelsea neighborhood. Renowned as “America's Playground,” the seaside resort town was once the place to go for leisure and luxury and The Chelsea brings the long-lost glamor and sophistication of this magical locale back to life by offering deluxe accommodations designed for comfort and style, award-winning cuisine, inviting spaces and gracious hospitality. The Chelsea features beautifully appointed accommodations in the form of guest rooms and suites located in the hotel's 20-story tower with many of them boasting magnificent views. The hotel is full of alluring spaces in which to escape such as cozy fireplaces, private poolside cabanas and buzzing bars, as well as the signature restaurant, Teplitzky’s. Deluxe facilities include a 10,000 square foot saltwater inspired spa, a state-of-the-art fitness center, a spectacular swimming pool and deck area with gorgeous views, and a secluded beach with loungers and umbrellas. Located at the corner of Pacific Avenue and South Chelsea Avenue, in the historic Chelsea neighborhood, the Chelsea is a convenient base for enjoying a relaxed beach holiday and exploring the city and all it has to offer. A short walk takes you to many of the city’s major attractions and landmarks, including the historic Boardwalk Hall, The Pier Shops at Caesars, and Lucy the Elephant, the famous elephant-shaped building, and National Historic Landmark. The Chelsea features two types of stylishly designed and decorated accommodations in the form of Chelsea luxe suites for the discerning traveler and standard guest rooms in The Annex for those wanting something more casual. Rooms and suites are located in the hotel's 20-story tower, and many of them boast beautiful ocean and city skyline views. All accommodations feature sleek, modern décor, private bathrooms, and deluxe amenities, including individual climate control with heating and cooling, flat-screen LCD televisions with On-Demand services, iPod docking stations, and complimentary wireless Internet. Guest services include a daily cleaning service for each room, personal dry cleaning services, and concierge services. 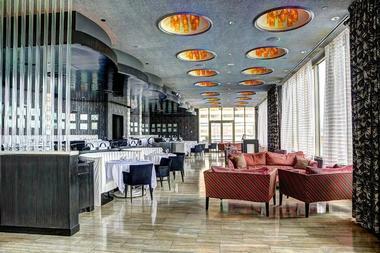 Luxe Queen and King Rooms are located in the Chelsea Luxe tower and offer stunning city views. These rooms feature two comfortable queen-size or king-size beds in designer linens, private bathrooms with shower/bath combination, thick towels and quality toiletries, a spacious work desk, and modern amenities. 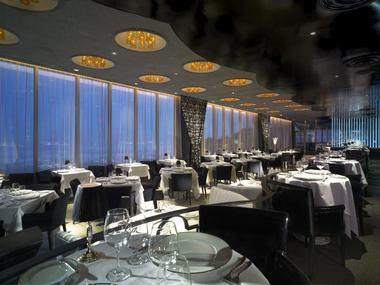 Water Queen and King Rooms are located in the Chelsea Luxe tower and have sweeping views of the bay. These rooms feature two comfortable queen-size or king-size beds in designer linens, private bathrooms with shower/bath combination, thick towels and quality toiletries, a spacious work desk, and modern amenities. 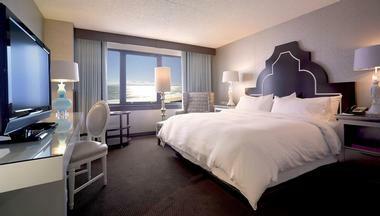 Ocean King Rooms feature the same facilities and amenities and enjoy direct ocean views. Penthouse Suites and Ocean Penthouses are located on the top floor of the Chelsea Luxe tower and boast spectacular panoramic views of the ocean and the bay. These luxurious suites feature floor-to-ceiling windows that flood interior spaces with natural light, ultra-comfy king-sized beds in designer linens, private bathrooms with shower/bath combination, thick towels and quality toiletries, a spacious work desk, and modern amenities. The Rockstar Suite is the ultimate in style and luxury. This four-bedroom suite is located on the top floor of the Chelsea Luxe tower and enjoys endless ocean views. The suite features a master bedroom with a large king-size bed with designer linens, an en-suite master bathroom with walk-in shower, soaking tub, thick towels and organic bath products, and a private balcony off a sunroom with floor-to-ceiling windows that flood interior spaces with natural light. Modern amenities include three flat-screen LCD televisions with On-Demand services, an ample work desk and chair, iPod docking station, and complimentary wireless Internet. The Chelsea’s signature restaurant, Teplitzky’s is a retro-chic Atlantic City diner that serves an innovative menu of classic cuisine, including hearty breakfasts, light lunches, and creative dinners, as well as handcrafted cocktails, fine wines and imported spirits. Named after the hotel’s original proprietors, the award-winning restaurant serves diner-inspired fare in a casual setting and features a hideaway cocktail lounge and coffee shop. The Chelsea’s Fifth Floor is an upscale restaurant and elegant bar that offers menus of outstanding cuisine, international beverages and a variety of entertainment against a backdrop of magnificent beach and ocean views. Windows on the 5th at the Chelsea is a beautifully appointed cocktail lounge and bar that makes for the perfect venue for special celebrations. Blending modern chic with timeless glamor, Windows on the 5th features floor-to-ceiling windows that embrace stunning ocean views and over 4,000 square feet of space including a dining room and bar, nightclub and games room, and an outdoor terrace. The luxurious Sea Spa offers pampering and indulgent spa treatments and services in over 10,000 square feet of elegant space. With a focus on the healing properties of the sea's salt water, the Spa offers a range of treatments, facials, and massages, and features a sauna, steam room, and large Jacuzzi. The Chelsea offers a range of stylish amenities and facilities for guests to enjoy, ranging from a luxurious day spa and private fitness center to the stunning swimming pool and sundeck with private cabanas. The luxury Sea Spa is located on the ground floor of the hotel and spans 10,000 square feet with gorgeous sea views. The Spa features a Solarium with a sauna, steam room, and oversized Jacuzzi and offers a range of services, including massages, facials and body treatments. A 24-hour state-of-the-art fitness center features all the latest in exercise and fitness equipment, including treadmills, stationary bicycles, a free weights section and a stretching area. The Oasis Pool is a beautiful heated saltwater swimming pool with vast sundeck, loungers, umbrellas, and private cabanas with a poolside food and drinks service. A rooftop bar serves light snacks and drinks throughout the day. The Chelsea boasts a variety of venues for a range of special events from weddings, receptions and anniversaries to business meetings, conferences, and other corporate events.